Editor’s Note: In the fifth of our All In A Day’s Work series, we profile Rachel Kaplan, Deputy Director of the Chicago Architecture Biennial, the largest architecture and design exhibition in North America. We welcome your suggestions of savvy people who have turned their daydreams into their day jobs. Rachel Kaplan. Photo by Zachary Johnston. Whether she’s shaping Chicago’s third Biennial, which will announce its 2019 theme and curatorial focus on February 5, or running through the streets of Chicago for the nonprofit Back On My Feet, Rachel Kaplan keeps her eye on Chicago’s architecture from several perspectives. Back on My Feet volunteers, 2018. Running the marathon in 2018 for Back on my Feet with a volunteer and resident. She continues: “The struggles of running and strenuous training pale in comparison with those of someone who has lost their home. Running was no longer about just meeting my personal goals but contributing to a community that values accountability, positive reinforcement, and confidence. “The Biennial reinforces the fact that Chicago can do anything and is inherent in the way our city embraces its architecture. One of the great things is that the Biennial is free: anyone can walk in off the streets and be exposed to thought leaders and learn through the visual content supplied by emerging talent in architecture, design, and the arts from around the world. 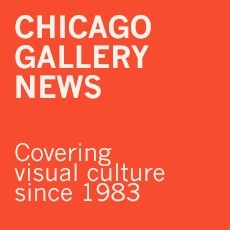 The third Biennial will run September 19 through January 5, 2020, at the Chicago Cultural Center with outlying programs throughout the city of Chicago and in dialogue with other cultural groups from cities such as Vancouver, Sao Paulo, and Johannesburg. An international forum that creates exhibitions and programs, it grew out of Mayor Rahm Emanuel’s desire for a major architectural fair in Chicago that in 2015 had no major event despite the fact that Chicago is the birthplace of modern architecture. The Biennial developed out of a comprehensive cultural program created under the leadership of Michelle Boone, former commissioner of Chicago’s Department of Cultural Affairs and Special Events. Over 500,000 people attended in 2017. A scene from the Biennial. Rachel previously worked at Expo Chicago, which she considered an opportunity to learn about event-based ways that artists come together: competitive but with artists presenting a united front for their audiences. Rachel was working part-time at the Chicago Architecture Foundation when she heard the buzz about the first Biennial of 2015. She became one of its first employees. 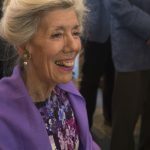 In her current job she works closely with the executive director, Todd Palmer, and board chairman, Jack Guthman, to help oversee the day–to–day operations and logistics of the organization. “From the first Biennial, we have celebrated Chicago’s amazing architectural past by referencing the World’s Fair model of 1893, bringing in exhibitions from all over the world. Also, like them, when we began we were inventing everything for the first time. Chicago-based curator and writer Yesomi Umolu will serve as artistic director of the 2019 Biennial with two co-curators, Sepake Angiama from London (although she is always itinerant) and Paulo Tavares of Brasilia. Biennial 2019 will see a great growth in education programs throughout the year, working for example with the Chicago Architectural Center (formerly the Foundation) and expanding programs for Chicago Public Schools to encourage architectural studies in its curriculum. One of the Biennial’s core initiatives is to fully fund and cover the expenses for teachers to bring their students to the Cultural Center exhibitions. With a visitor from Back on My Feet at the Biennial. Each week Rachel finds time to run on Monday mornings at 5:45 am with the friends she has made through Back on My Feet. Although many participants are setting records for miles run, the real success is that they have runners like Rachel with them every step of the way. This entry was posted in Guest Stars on February 3, 2019 by Kay Whitfield.